It is not an easy or cheap thing to do. Uluru is located very much in the middle of nowhere. Even Alice Springs, the closest decent sized town is a long 6.5 hours away. 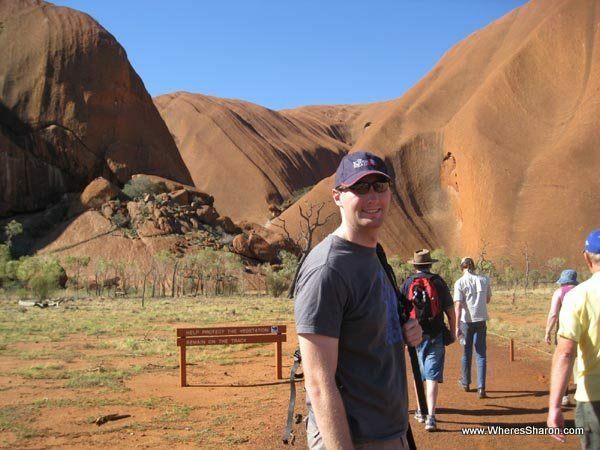 We were very keen to see this world famous attraction in our own country before we had kids, but flights to Uluru (or Ayer’s Rock as its often known) are expensive. The accommodation around Uluru is also expensive. We just could not afford it, so we ended up picking up far cheaper flights to Alice Springs and decided to base ourselves there. We only had a day to see Uluru which left us two choices – drive ourselves there for the day or do a day trip. Considering it is a 13 hour return drive and that we were going all the way to see it, we figured we were far better off doing a day tour. This way, we wouldn’t have to do all that driving ourselves, and we would get as much as possible out of the day. The guides on our day tour to Uluru said that it’s the longest day tour in the world and, at over 18 hours, they are probably right. 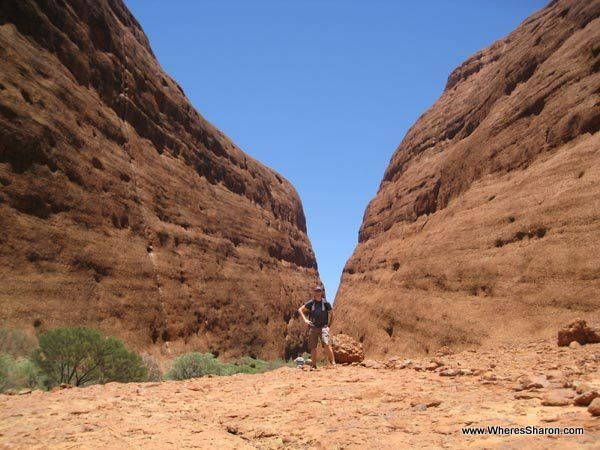 It is a long day to check out Uluru and Kata Tjuta if you want to have more than a glance. The bus picked us up right one time at 6am. It was quite comfortable and there were enough free spaces that we could have our own seats which made the long journeys as comfortable as it could be. We were soon out of Alice Springs and heading the approximately 470km to Uluru. There isn’t much to see on the way, so we napped a bit and read books. About half way we had a break at a rest stop where we had a snack. On the way, Mt Conner was pointed out. It has a flat top and apparently lots of guides like to trick their passengers by saying it’s Uluru. We took a photo and then continued on our way. Eventually we arrived at Yulara, also known as Ayer’s Rock Resort, where the accommodation and restaurants are situated for people who stay near the rock. From here, you can see Uluru. I can’t say it amazed me much at that point except to actually be there. At Yulara we went to the visitor’s centre and learned more about what we were there to see. Throughout the day, our guides told us a lot of information about our surroundings and the local aboriginal people. We headed next to Kata Tjuta or the Olgas. We were starting there as apparently that would avoid seeing too many other tourists throughout the day. This information seemed to be spot on as the site was surprisingly tourist free. This seemed a bit weird for such a huge icon of Australia. During some of the journey you could see both Uluru and Kata Tjuta on the horizons which was awesome. Kata Tjuta means ‘many heads’ and consists of six big rock domes. We hiked on a path that went between the rock domes. It was all stunning scenery with the big red rocks and soil and then the green bush. It really was very enjoyable despite the heat. It was 36 degrees, but it didn’t feel too bad. In some ways I enjoyed Kata Tjuta more than Uluru as it was not what I expected. The highest point is about 550 meters which makes it higher than Uluru. I had no idea they were so big. 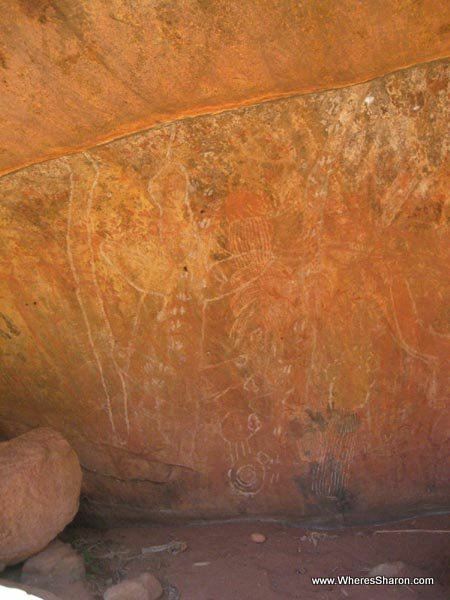 This site is more sacred to the aboriginals than Uluru, and we aren’t allowed to know their stories about Kata Tjuta so I’m unable to write about the significance of it. We were given a basic lunch to eat on the bus or at the sites. It was yummy and quite satisfactory. We were given fruit at regular intervals and lollies. Watermelon is just delicious in this climate. Next stop was the Uluru cultural centre, much closer to Uluru. At first glance, Uluru looked much smaller than what I imagined it would be from all the images I have seen. It did not look nearly as long as it appears in photos but it is still an awesome sight to behold. Some parts of it are considered sacred and you are not allowed to photograph them. Around the cultural centre fell into this category. The centre details the history of the Anangu people who inhabited this area and the cultural centre is worth a visit although it mostly told us information that the guides had been telling us all day. Finally, it was time to go to Uluru! 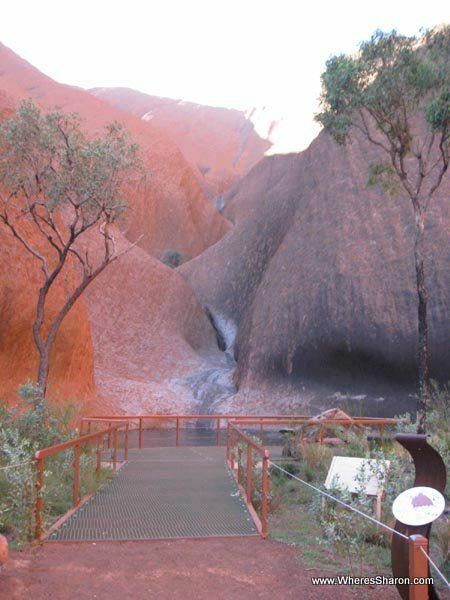 Uluru means meeting place and it is in an area where three different tribal areas intersected. It was a good place to find food so when there was a good rainfall (like now) and food was abundant, the tribes of the area would all get together and meet up for things like meeting potential new partners. We ended up doing a drive all the way around the rock. Different areas had different purposes. Different members of each of the tribes would go to these different areas, like the old men and the young men and the women would hang out at different spots, quite a few of which were scared and other people outside the grouping were not allowed. We got out of the bus on two occasions to do hikes around the base and see things like rock paintings. It was all just amazing and we enjoyed it very much. Again, one of the surprising things was all the greenery and the little lakes/rivers/puddles (not sure of the correct term) at the bottom. If it has just rained, then you can see waterfalls streaming over the rock. We had the option to climb the rock, but we declined. I was more than happy to obey the Aboriginals’ wishes that we don’t do it. It’s a bloody hard walk – very steep (it’s 348 meters high or 95 storeys!) and it was just on the borderline of being hot enough that they close it. Walking straight up in the hot open sun seems a bit crazy to me. No wonder they have had quite a few deaths, usually due to heart attack. Of the 24 people on our bus only two did it. We certainly did not feel as though we needed to do it to get something out of this amazing place. One of the coolest parts of our day tour to Uluru was the guide explaining to us the significance of the different symbols in the rock paintings. You could then kind of read them. It was then time to head to the sunset viewing area where a big bbq and salad buffet was put on for us complete with sparkling and red wine. What bliss! We sipped it down, ate and talked to other passengers while the sun set and the rock changed colours. It was magical and we loved every minute. The only negative was that they were in a big rush to make sure we left the ground first (to avoid a traffic jam!) that I think we missed out on a little bit. The ride back went quite fast as I slept most of it. We stopped at the half way point again but soon enough we were pulling into Alice Springs. Thankfully, we were one of the first drop offs at about 12:30am. Was it worth it? Definitely yes! 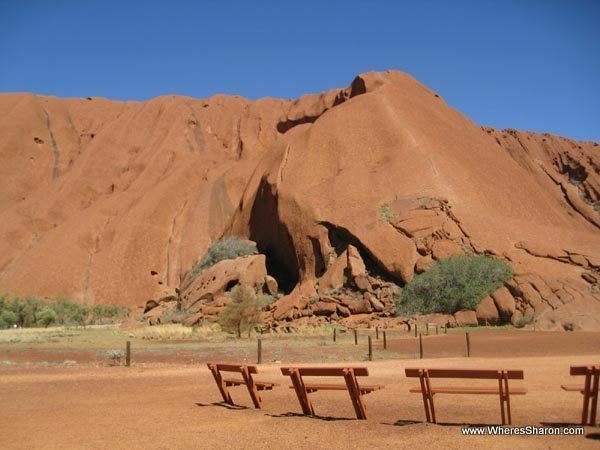 A day is not long, but it is enough time to get a taste of Uluru and Kata Tjuta. If it’s all the time and money you have, then it is definitely worth it. I loved it. It was such a different side of Australia and seeing the Rock after seeing images of it all my life was amazing. I highly recommend it, and it has very much encouraged me to see more of Australia. It was a great precursor to my trip to Coober Pedy the following week. The day tour was full on but we felt we spent as much time as we needed to, and we were very impressed with the excellent value the tour gave us and our guides. 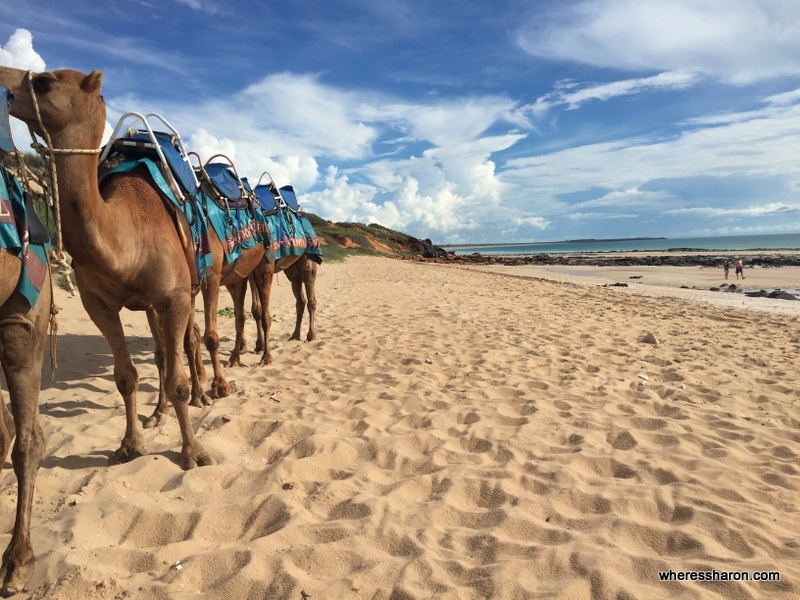 We would highly recommend Emu Tours for anyone wanting to do the same thing. I urge you all to get out there and see our amazing land. You can read about a different Outback experience in my guide to the bizarre Outback town of Coober Pedy. Is Uluru on your bucket list? I’ve never thought of it as a dating site before. That is definitely a long day trip (nearly 1000km around?) and I’m ashamed to say I’ve never quite reached the Rock. My excuse is my parents went just before I was born. We’ll have to go! I have confidence that you will get there someday 🙂 It is getting easier and cheaper all the time, although perhaps still a tad far from Singapore. I have had great views of Uluru while flying between Singapore and Melbourne though! Sharon, what a whirlwind trip! I haven’t been to Uluru yet but my intent is that by the time we pay for the expensive airfares for all 5 of us that I am planning to spend a full two weeks in Central Australia. It is great that you were able to get there with such limited time available. Oh for sure! There is no way I would pay airfares for 5 people just to see it for a day. Our trip worked out great with the time we had available at the time especially as our flights were free. I wish frequent flier points went as far as they used to. Uluru is quite high on my list if/when I make it to Australia. And I say that knowing full well how massive your country is and how far away from everything it is. 🙂 Very pleased to see that there is wine involved in this trip. The sunset drinks were definitely the icing on the cake! It is always great to just get a moment to enjoy rather than just rushing around everywhere as well. I don’t know how many times I have planned for Australia only to back up later on because of the high airfares. Visiting Melbourne and Sydney is easy provided i fly Air Asia from Malaysia but the challenge comes next. Uluru and the Great Barrier Reef are on my list of “must see” places in Australia but the transport cost from Syd and Mel adds up to too much. Your Uluru Bus Trip sounds very easy though. Maybe I will try Australia next year or maybe in 2016 if I get pregnant in 2015. Yes, visiting Australia is not good for a budget. 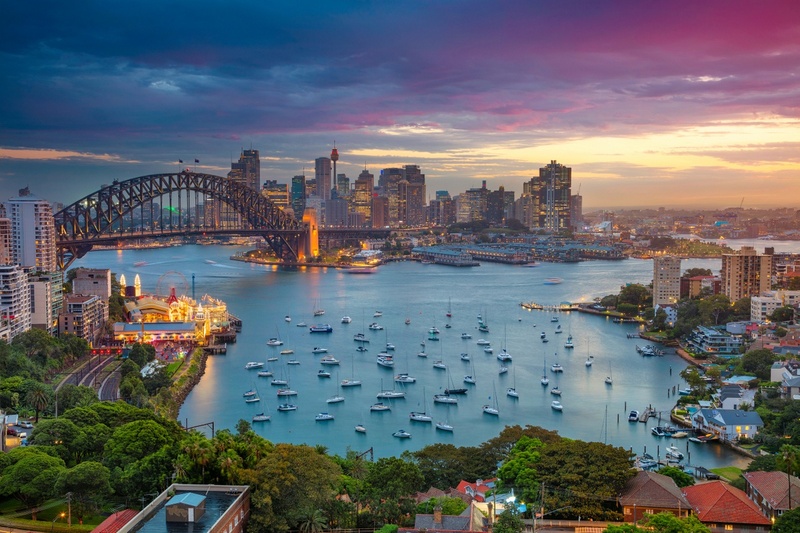 There are lots of budget airlines within Australia though, so if you do book flights here, I suggest signing up for jetstar and tiger sales news. 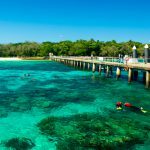 They have some great prices, eg can fly between Melbourne and the Barrier Reef for $100. Places tiger fly are even cheaper. Oh! That’s the best news i heard in ages. Thanks for this piece of information. I never found that on google! Now, I’m following u. Will be great if u can follow me back. Cheers! Great post!! I’ve been seeing photos all my life too and dream of going! Hopefully in the next 2 years. Great insights and information. I definitely would love to see it at sunset. Cooper Pedy is also a place I want to see. Thanks for sharing! 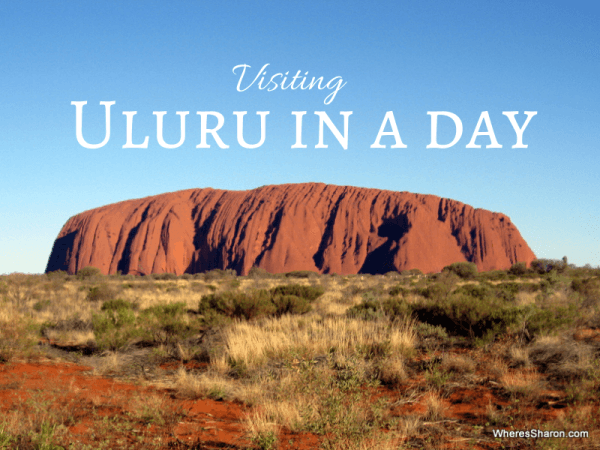 I didn’t realize that you could take a day trip tour from Alice Springs to Uluru. 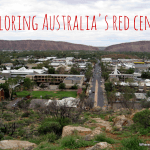 We flew into Ayers Rock airport and stayed a Yulara for 2 nights. Renting a car was cheaper than taking the bus around the park for our family of 5. It was January and so very hot (45C) that we had to be finished with our hikes by 8AM. We didn’t drive to Kata Tjuta because my hubby was afraid the car would overheat and we’d be stuck in the desert. Your way seems like a great option to see everything without spending a ton of money. That is a shame that your trip was so limited, and it makes me quite glad that we did things the way we did, although I imagine a 16 hour tour could be hard work with 3 kids in tow! The rock paintings would be so cool to see in person. Sounds like it was a great trip. Thanks for sharing! Looks like you guys had a great time – loving the pics! Great post and lots of good advice for people who only have a short amount of time. I chose to squeeze it all into two days and did a tour. It went for 2 days instead of 1 – but I found it was the perfect amount of time to see everything. It seems like the tour was quite similar then! Would you recommend doing it all in one day? 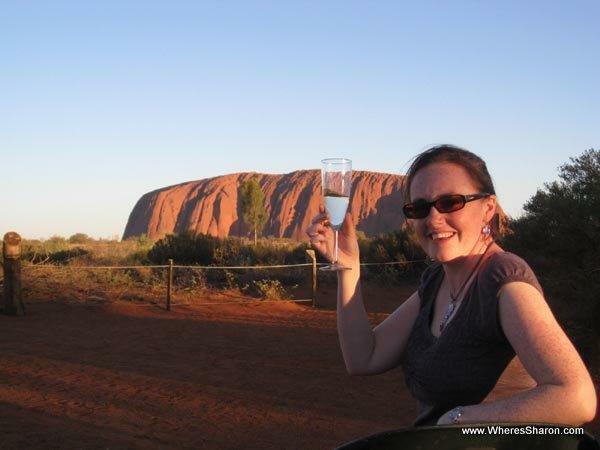 We went to Uluru last year, enjoyed reading your experience of the rock! Garth. GUYS it’s amazing what i’ve read! im planning to go Uluru in oct’16, can you tell me which travel company did you choose?? Hi Ignacio! Unfortunately, I can’t remember :-/ Good luck with your own trip!